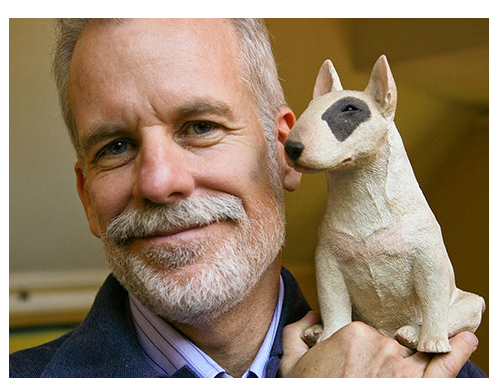 You might recognize Chris Van Allsburg for his wildly successful books Jumanji and The Polar Express, but did you know that he actually started his art career as a sculptor? He didn’t think about illustrating books until his wife encouraged him to try it. His very first book The Gardens of Abdul Gazasi received a Caldecott honor in 1980. Since then he has written and illustrated 19 of his own books, and illustrated 3 books by Mark Helprin. Van Allsuburg's work has been very successful, and he has won two Caldecott Medals for Jumanji and The Polar Express. In the introduction of The Mysteries of Harris Burdick, Van Allsburg explains that his friend, Peter Wenders, was given a series of images by a man named Harris Burdick. Wenders, a publisher, was intrigued by the images, each accompanied by a title and a single line of text, and asked Burdick to return the next day with corresponding stories. However, Wenders never heard from Harris Burdick again, so the "true" stories behind the pictures were never revealed. The book has compelled readers to create their own stories, with teachers and parents using the illustrations and text as writing prompts. Van Allsburg has said that his purpose in compiling the book was to let children know that they are all writers. Houghton Mifflin, publisher of The Mysteries of Harris Burdick, hosts a writing contest for students in grades 2-8.
had a dog in it named Fritz. When I thought about the kind of dog I wanted Fritz to be, I decided he should be a bull terrier. Unfortunately, I didn't know any bull terriers that could be my model for drawing pictures. I found some photographs, but they were not what I needed. What I needed was a real dog. My brother-in-law, David, visited one day, and told me he was thinking of getting a dog, possibly a golden retriever. I told him he should get himself something more interesting. Something really unusual. I showed him photos of bull terriers and he agreed that it was a most unusual and appealing dog. Not long after that, he acquired a bull terrier puppy, and named him Winston. Winston became the model for Fritz, and because he was my brother-in-law's dog, I thought of Winston as a kind of nephew. Sadly, Winston had an accident that sent him to the big dog kennel in the sky at a young age. I decided to commemorate the contribution he made to my first book by including him (or at least a tiny part of him) in all of my books." 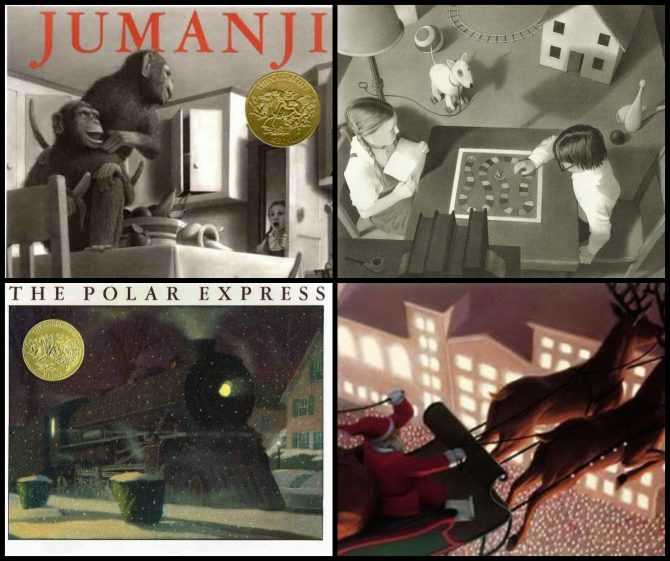 Van Allsburg's work has inspired 4 movies: Jumanji (1995), The Polar Express (2004), Zathura: A Space Adventure (2005), and Jumanji: Welcome to the Jungle (2018). For more information on Chris Van Allsburg, please visit his website. Be sure to follow @SLPLYouth on Twitter and Facebook for news about events and programs, book lists, and information on available resources.